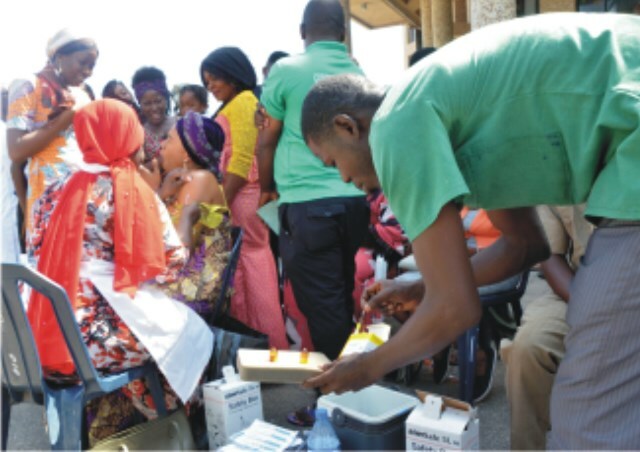 Abuja residents receiving Yellow Fever vaccine at Our Lady Queen of Nigeria Pro-Cathedral, Garki in Abuja, last Sunday. The Cross River State Chapter of Nigerian Medical Association (NMA) has appealed to Governor Ben Ayade to approve 100 per cent Consolidated Medical Salary Structure (CONMESS) for doctors in the state. This, the association said, was in line with other states in South South. The association made the appeal in a communiqué issued on Tuesday in Calabar at the end of the South South Zonal Executive Council Meeting of the association. The communiqué, which was signed by Dr Agam Ayuk, NMA Chairman, South South Zone, and Dr Ezoke Epoke, NMA Secretary, South South Zone, said that such approval would help to retain skilled workers in the state civil service. The association also appealed for universal application of remuneration for all doctors in federal and states hospitals to improve workforce. “NMA South South zone appeals to Governor Ayade to approve 100 per cent CONMESS for Cross River doctors in line with other states in the South South. 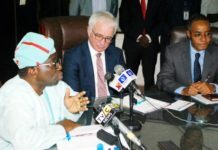 “The zone also calls for the development of areas of interest/specialties by both federal and state hospitals in the South South to guarantee quality training and healthcare delivery. 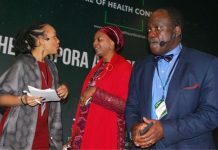 “On budgeting, the zone calls for improved budgetary funding and release to the health sector at least 15 per cent of total budget in accordance with the Abuja Declaration of 2001 by African Heads of States. “As an association, we are also calling for renewed efforts by relevant authorities to prevent the re-occurrence of flooding incidents in the South South and other regions.